Visual C++ 2010 comes with a brand new library called the Parallel Pattern Library or PPL. It is a powerful library that makes writing parallel code easier which is getting more and more important with the current and upcoming multicore CPUs. This article will give an overview of the PPL. Parallel algorithms: generic algorithms that act on collections of data in parallel. Parallel containers and objects: generic container types that provide safe concurrent access to their elements. Task parallelism: a mechanism to execute several work items (tasks) in parallel. Now the for loop will execute in several threads. The PPL will automatically decide the number of threads based on the number of cores there are in your machine. Note that all the parallel algorithms use Lambda expressions which is also a new feature in Visual C++ 2010. Perform fine-grained computations and store the results in the combinable container. After all fine-grained computation threads have finished, all the results in the combinable object are “combined” or “reduced” into the final results. To get safe access to the shared resource result variable, the parallel_for_each threads need to lock the critical section before adding a value to the result. Obviously, this implementation is not really scalable, since most threads will be waiting for the lock on the critical section. Instead of using these locks, lets use a combinable object to have lock-free access to the shared resource. The following code demonstrates the two step approach explained above. // 1. Calculate the sum of the elements of the vector in parallel. As you can see, there are no locks in this code. The parallel_for_each algorithm will split the vector in a number of parts. The sum of the elements in each part will be calculated in parallel in different threads and the intermediate results are stored in the combinable object. Every thread has its very own sums.local() variable, so no locks are required. Once all threads are finished, all the results in the combinable object are added together to form the final result. The PPL contains the concepts of tasks and task groups. They allow you to create individual work items (=tasks). Several tasks can be combined into task groups. These can then be spawn into several threads executing the individual work items in parallel. This post will not go into more details about task parallelism. 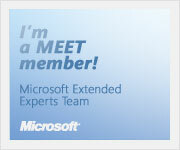 For more information about tasks and task groups, see MSDN. Two demo applications are provided that show how powerful and versatile the parallel_for algorithm is. CParallelBlurDoc::DoImageOperationHelper(): performs the blur agorithm without using parallel_for. CParallelBlurDoc::DoImageOperationParallelHelper(): performs the blur algorithm with parallel_for. R: Reset, show the original, non-blurred image. S: Run the non-parallel version of the blur algorithm. P: Run the parallel version of the blur algorithm. Run the application, open any image and then click on the S or P button. After blurring is complete you will get the time how long it took. Note that the demo application does not implement any border constraints and thus is not blurring a border of a few pixels. 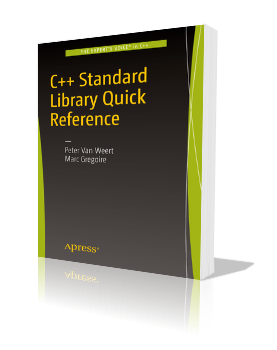 Learn more about the Visual C++ 2010 concurrency runtime. Learn more about Parallel Computing on Windows. Nice. Will we also see a pipeline infrastructure like in Intel TBB? I have never used the Intel TBB pipeline infrastructure, so I cannot really comment on that. However, have a look at the Visual C++ 2010 Concurrency Runtime ( http://msdn.microsoft.com/en-us/library/dd504870(VS.100).aspx ). Maybe something with Asynchronous Agents or the Task Scheduler? McIntyre: Are you opening this in Visual C++ 2010? It will not work on older versions of Visual Studio.